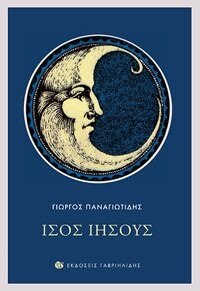 Giorgos Panayiotidis won Diavazo’s fiction award for ‘Of Love and the Invisible,’ published by Gavriilidis. Diavazo magazine maintained the suspense – and the prestige of its annual literary awards – on Monday night at the packed Benaki Museum on Pireos Street, where journalist Pavlos Tsimas acted as master of ceremonies. Obviously moved by the honor, Papadimas took the audience back to the old days of Don Quixote-style publishers. The poetry award went to Giorgos Gotis for “Chronografia” (Chronography), published by Stigmi. Professor Emeritus Panayiotis Moullas of Aristotle University won the essay award for his work “O horos tou efimerou: Stoicheia yia tin paralogotechnia tou 19ou aiona” (The Field of the Ephemeral: Data on Informal Literature of the 19th Century). 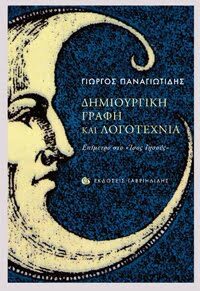 The award for the novel went to Giorgos Panayiotidis for “Eroton kai aoraton” (Of Love and the Invisible) published by Gavriilidis. Niki Hatzidimitriou’s “Ypofotismeno: Diigimata kai alla” (Dimly Lit: Stories and More), published by Hestia, won the short-story award. Katerina Iliopoulou won the prize for a new writer with “O kyrios Tau” (Mr T) published by Melani. 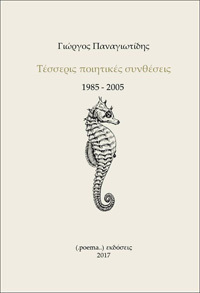 “An t’agapas xanarhontai” (If You Love Them, They Come Back), by Vassiliki Nevrokopli, illustrated by Nikolas Andrikopoulos and published by Livanis, won the award for an illustrated children’s book. 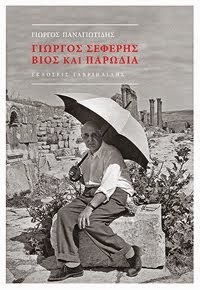 The prize for a literary work for children went to Vassilis Papatheodorou for “Hnota sto tzami” (Breath on the Window Pane), published by Kedros. The ceremony had a bit of everything –surprise, applause and enthusiasm. It was a credit to both Diavazo and the juries who judged the awards, not only that none of the winning names was leaked ahead of the event, but also that, rather than trying to spread the awards out evenly among publishers, the judges chose books that they truly valued. That might also be why, for the second year in a row, Diavazo succeeded in attracting such a large crowd to the Benaki to support an institution that conscientiously tracks the world of books. The first recipient was Dimitris Papadimas, who received an award for his contribution to the publishing industry. After winning Diavazo’s fiction award on Monday, primary school teacher Giorgos Panayiotidis went to work as usual the next day. His headmaster was waiting for him and all his fifth-grade pupils had gathered to congratulate him. Panayiotidis, 42, was still in a state of astonishment. “I haven’t had a chance to be on my own and take in properly what happened. I didn’t expect it because I knew who the other candidates were. It was a vindication for my book,” he said, recalling the time when he had been having trouble finding a publisher for it. Eventually Gavriilidis had taken it on. “For me the book was a living thing. It was a challenge for me, because I had written verse before. But I believed I could also say something through the medium of prose,” explained the writer. Since fall last year, when his book was published, until he won the Diavazo prize, he said, “nothing was written about the book, because neither my publisher nor I are into public relations.” He believes the award will give him the impetus to carry on. Katerina Iliopoulou, 40, saw her first book, “Mr T,” published in early 2007. “I didn’t expect to win but I hoped I would,” she told Kathimerini. 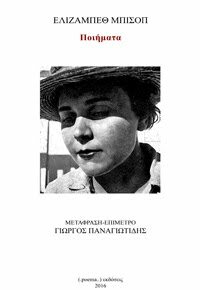 There had been reviews of her book: “I’d had the satisfaction of a response.” At the award ceremony, the poet paid tribute to her publisher, Popi Gana, for developing good relations with her writers. Iliopoulou, who is keen to keep writing poems, also designs jewelry and gives seminars in jewelry design.